His muscular body easily fills out his t-shirt. And when Corey Cann takes it off, the full effect of his intense training comes to light. The lean size he has put on is imposing, his muscle definition is striking. The popular, rising fitness model demonstrates how well-toned, athletic, and even acrobatic he is for numerous high quality photos and videos published here on AllAmericanGuys. Dylan's performance is amazing. The young man is a heart transplant recipient, is 6'9, weighs 265 pounds, and is carrying an additional 20 pounds in his backpack during his hike up Mount Olympus in Salt Lake City, Utah. This is part of Dylan's comprehensive fitness programm made up by personal trainer Jeffrey Beck, and it is already their second ascent of this mountain. Jeffrey: "Our new goal is to get to at least 2,000 feet. See how far Dylan and I get this time." He goes all-out when lifting weights, and beams with joy when flexing to check the effect of his training in the mirror. It's thrilling and motivating to watch 19-year-old natural bodybuilder Tomas Duran working out in the gym and sculpting his physique for his next competition. You find many high quality galleries and videos of him here on CzechYoungMuscle. "For me natural bodybuilding is the purest form of bodybuilding and far more than only a sport. It's a passion, it's an attitude to life, it's pure love." Mischa Janiec's enthusiasm is rousing and convincing. 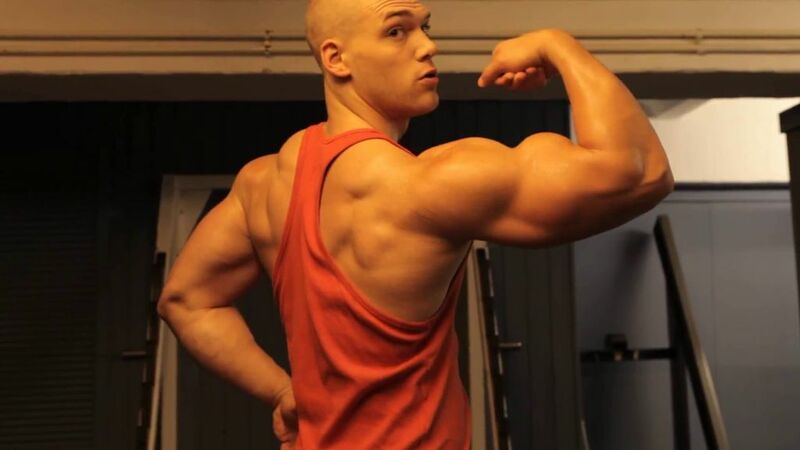 In this video the 21-year-old Swiss athlete and personal trainer explains his way to bodybuilding and his goals, demonstrates his training and posing, and assures at the end: "I want to be a bodybuilder and stay fit, as long as I am able to work out." Mischa speaks German in the video. You can activate the English subtitles, if you click on the symbol on the toolbar of the video. Front double biceps - the classic pose of a workout enthusiast to flaunt the size of his arm muscles in a "gun show". But Nick Cooper is lifting weights not only to gain mass. The fitness model is an expert on body sculpting, and succeeds in building striking definition equally. You find numerous high quality photos and videos of Nick Cooper here on AllAmericanGuys. 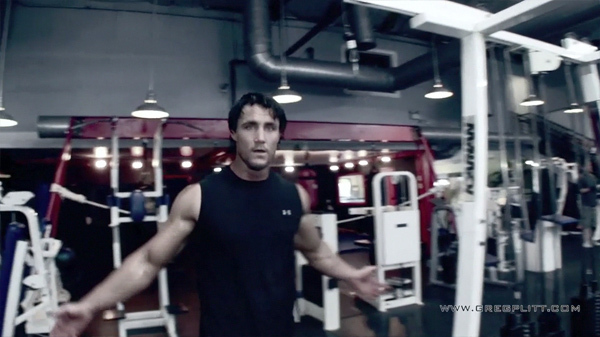 The full LEGit Leg Workout is available at http://www.GregPlitt.com. The GregPlitt.com Members Section contains 195 videos, including 56 instructional workout videos, $9.95 a month for full access. With his sculpted physique and handsome look he cuts a fine figure both on the contest stage and in the photo studio. Jan Hutka, a 21-year-old natural bodybuilder and new model on CzechYoungMuscle, started working out three years ago, has devoted himself to bodybuilding for one year, and succeeded at his first competitions: He placed second at the Czech Natural Bodybuilding Championship, and third at the World Natural Bodybuilding and Fitness Championship in 2012. Now he has been discovered for fitness modeling, evidently with a bright future. His chest is almost too big for his tight shirt. And his other muscle groups are equally massive and sculpted. Ryan Nelson is a prime example of showing what an impressively ripped physique and lean size can be achieved by natural bodybuilding. His many shootings for AllAmericanGuys are a pure training, posing and flexing festival. You find numerous high quality photos and videos of Ryan Nelson here on AAG.